Moving out of an apartment requires special considerations. Read the following tips to get prepared for your next apartment move. If you need more than a few friends to help you move, then seeking out expert apartment movers is a great first step! The amount of deposit money you get back after a move has always been a bit of a mystery for apartment renters. You think everything looks fine, and then you get a check back for half of the original deposit amount, citing ‘cleaning charges’. Have any holes in the wall from posters or pictures? If your walls are white, get some spackling paste to fill any holes in your walls. If not, you risk losing some of your deposit money. Now that you are on track to get your deposit back, it’s time to turn your attention to making sure everything is in place for your movers. 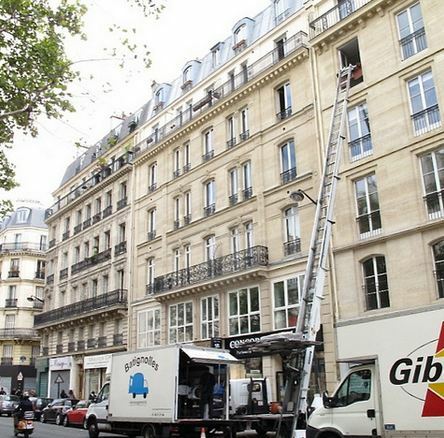 The main challenges in apartment moving are access and parking. Talk to your apartment manager or landlord about the following and communicate this information to your moving company as soon as possible. Parking Access. Most apartment complexes will have designated areas where parking for moving trucks is permitted. You may be fined if your movers park in a restricted spot, so identify these areas in advance and show them to your moving consultant during your in-person estimate. Elevator Usage. If you live in a high-rise apartment complex, elevator usage usually must be approved by management in advance. In order to avoid scheduling conflicts, schedule your elevator time as soon as you know you will need to use it. 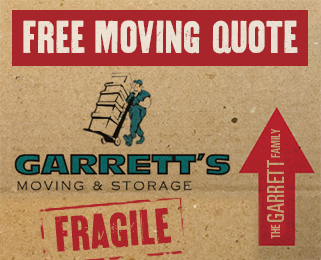 Garrett’s Moving & Storage have been Dallas and Fort Worth apartment movers since 1992. We’ve conducted thousands of apartment moves both large and small, including many high rise moves. For a free, no-pressure moving estimate, go to our form or give our friendly team a call at 1-972-487-5843. We’ll call you back to schedule an appointment within 24-48 business hours. This entry was posted in Apartment Moving. Bookmark the permalink.